To configure the mod press CTRL+SHIFT+S and hold for a bit - then let go. The menu should then appear. If that doesnt work you can use the command !overlaysettings in chat.CTRL+SHIFT+C and CTRL+SHIFT+D give you an overview over military and economy for each team (only when there are 2 teams only)To switch between the panels (Combat, Economy etc) you use the wheel on your mouse. 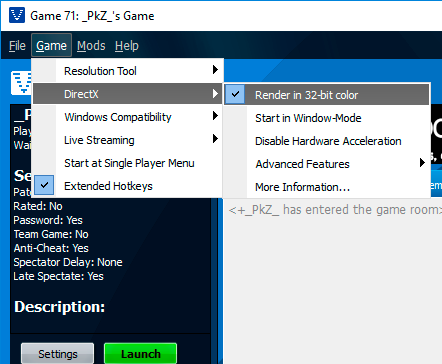 If enabled in the settings you can use the middle-mouse button to reset the panel to overview mode. You can also use F11 to walk through the panels.The visible changes from version 1.x are minimal but the code are almost completely rewritten.Changes include support for more than two teams for example 1v3, 2v2v2 and FFA. 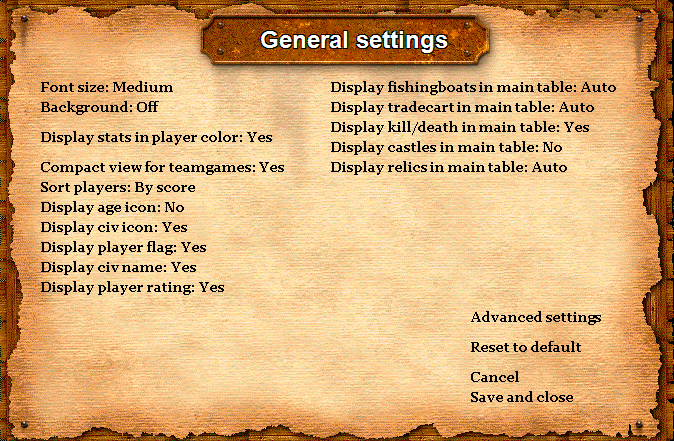 Even uneven teams will be displayed correctly now.Team-bonuses like Hun's 20% faster stable, Goth's 20% faster barrack are now calculated in so that the research display are more correct and finish when the research actually are finished.Menus overviewUse the menus to configure the Spectator Overlay to your liking.The menu can be accessed by holding CTRL+SHIFT+S. Hold them for a bit - then let go. The menu will then appear. 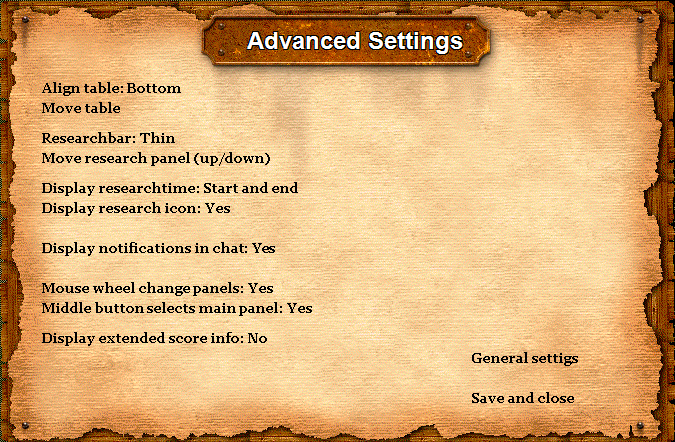 You can also use the chat command !overlaysettings to access the menus. Extended infoAnother new option are to display the extended score like the one displayed in the lower right corner of AOC. Somebody have requested this option to be able to hide the original score displayed by AOC. ResearchpanelResearchtime can now include both start and end time. Configured from the menu. There are still 2 type of display.